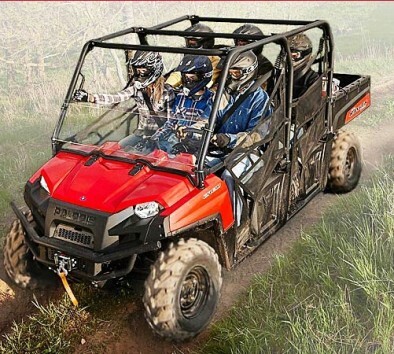 Climb in the driver’s seat or just come along for the ride in a sporty multi passenger “side by side” ATV for a morning of nature and knobby tires. This trail excursion begins at the front door of the Copper River Princess Wilderness Lodge and takes you approximately 15 miles through the forests and valleys of the Copper River Basin. Stop along the way to watch wildlife and the signs they have left behind. The view of Wrangell St. Elias National Park and Chugach Mountains is stunning from the top of the cliffs at the “Devil’s Elbow.” Your naturalist guide will take you to an overlook to watch nesting raptors from above and to the bottom of the Klutina River Canyon. Bring rain jacket and camera. Wildlife sightings are likely but not guaranteed.